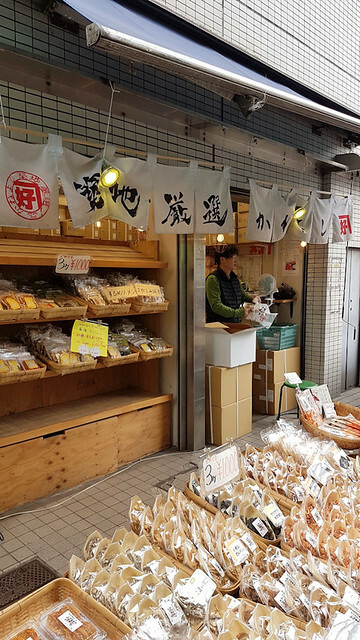 If you ask anyone that visits Tokyo, you’ll probably hear that Tsukiji Fish Market was one of the highlights of their trip. 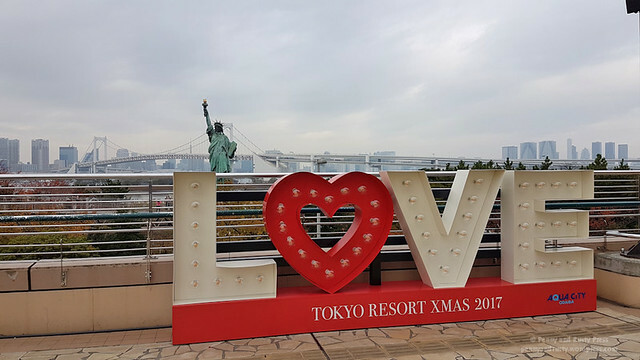 The days of visiting this iconic landmark may be numbered, however, as plans to move the market so they can redevelop the current site for the 2020 Olympics have been set. Of course, we’ve heard that before and each time it was delayed. 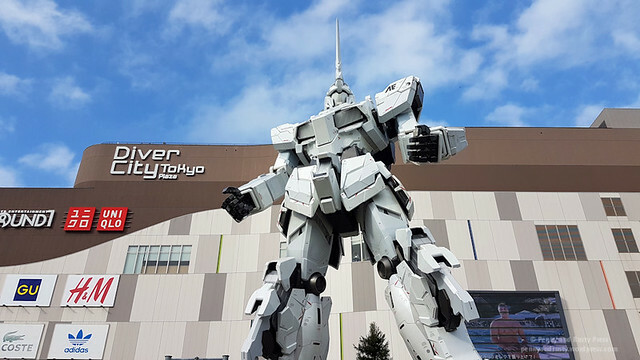 We’ll see in October 2018 as the new location in the Toyosu waterfront district is set to open. 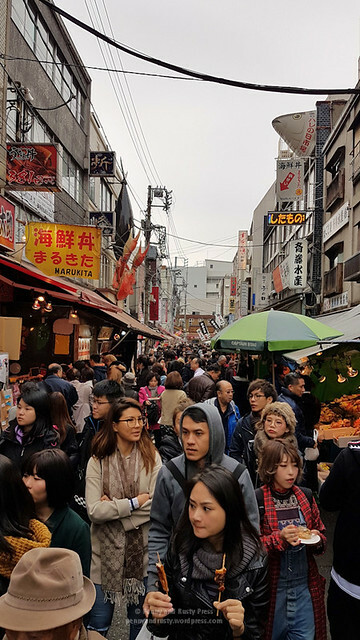 There are many famous sushi restaurants in Tsukiji where diners line up for hours to get in. 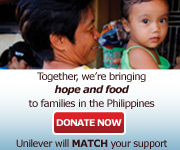 We can’t be bothered with that and, to be honest, you can find a great sushi meal pretty much anywhere in the market. 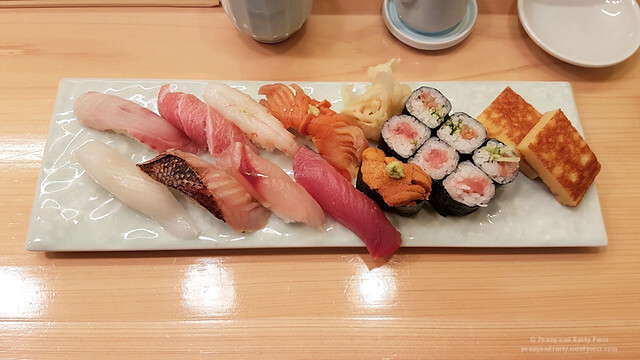 Last year, we had a great omakase set at Iwasa Sushi. 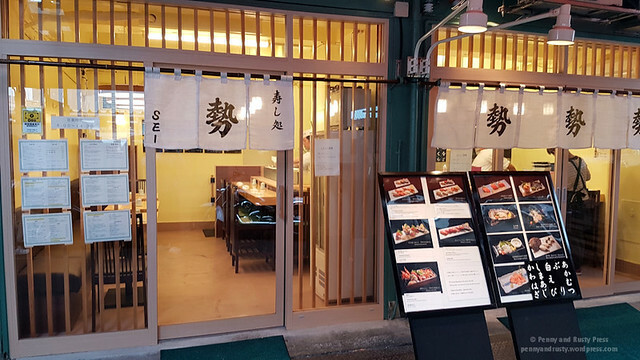 This year, we went next door to try out Sushi Dokoro Sei. The seafood was quite fresh. The only thing that I didn’t like in our sets were the cuttlefish and ark shell (but I generally don’t like the texture of these). 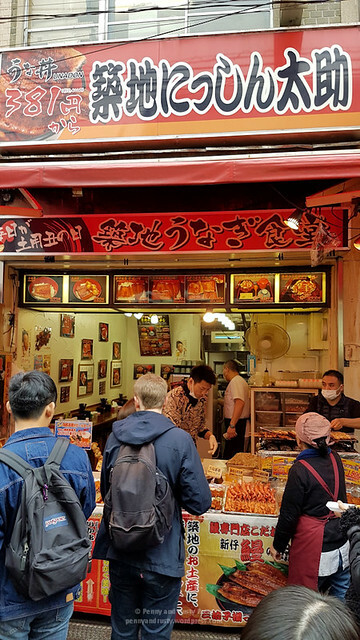 On our visit last year, we completely missed the food stalls that surround the market. There were quite a few line ups for the more popular items. 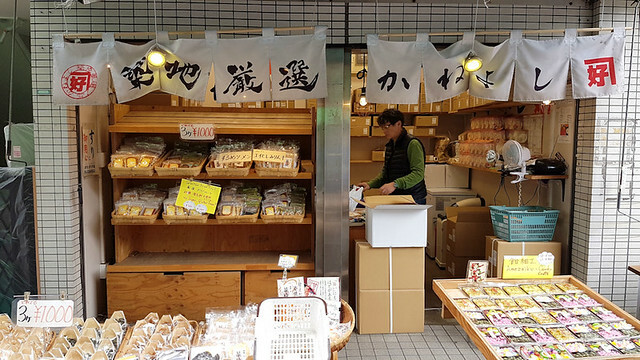 For my money, I actually preferred Kuromon Ichiba Market in Osaka over Tsukiji. 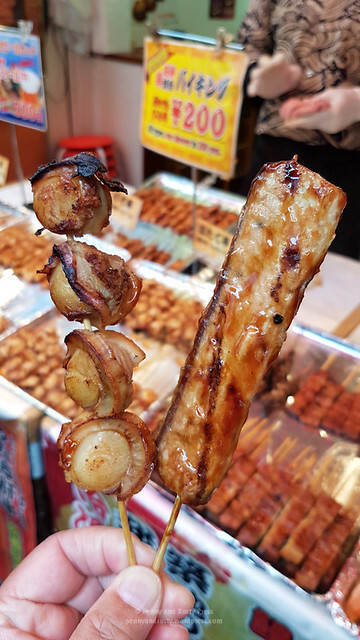 We grabbed a couple of skewers of grilled seafood from Nisshin Tasuke. The grilled scallop and yellowtail were only 200円 each. 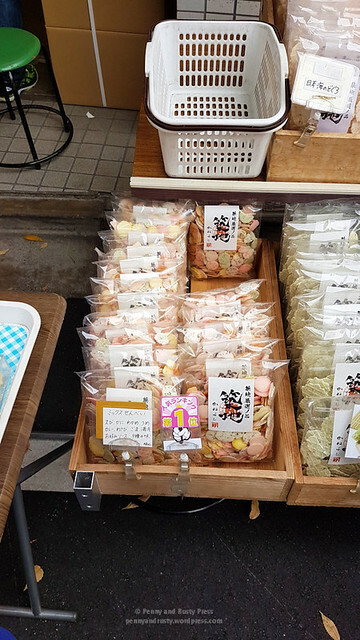 Okay, if you like thin rice crackers, you’ve got to try this little store around the Tsukiji Fish Market. 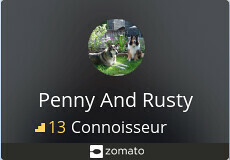 I’m not sure what the name of the place is but the coordinates are 35°39’55.7″N 139°46’16.9″E. 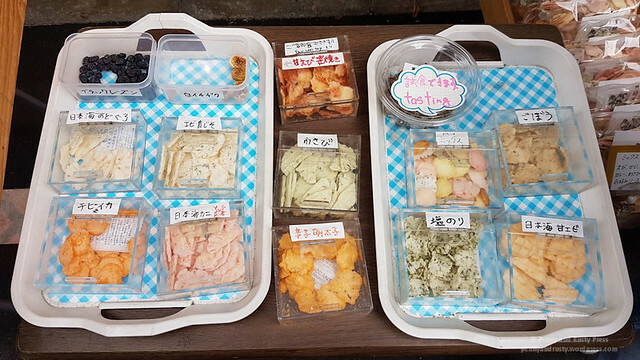 We came across this place on our trip to Japan in 2016 and had to come back to pick up more of their assorted rice crackers. 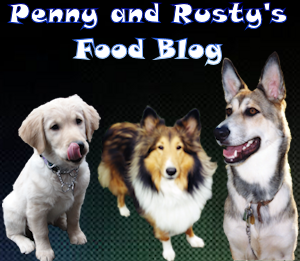 They’re roughly the size of coins and have a thin and crisp texture. 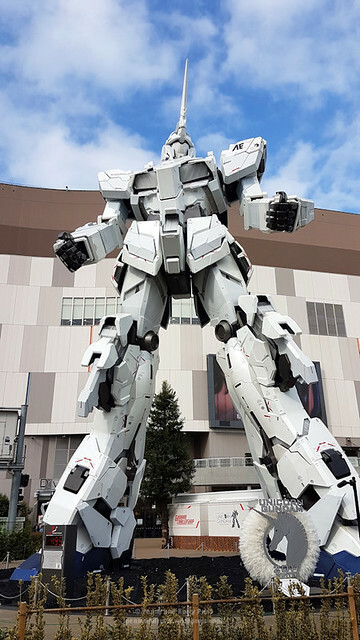 If you can find the Lawson on the corner of Harumi Dori, just continue walking south-east along Harumi Dori and turn in on the third alleyway/street. 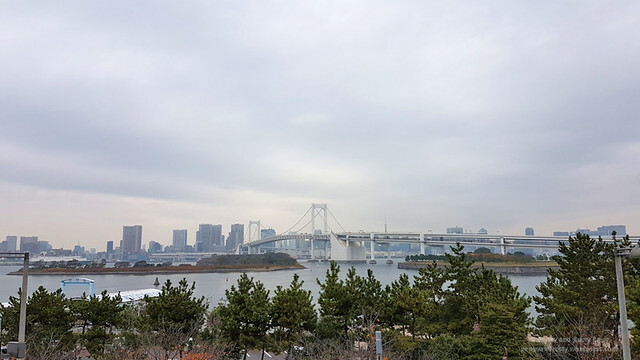 After navigating the crowds of the fish market, we headed over to Odaiba which is a shopping district located on a man-made island in the middle of Tokyo Bay. 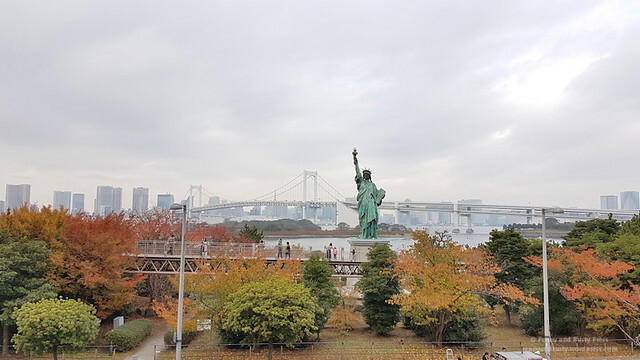 Outside the Aquacity Odaiba, you can get a great view of the replica of the Statue of Liberty with the famous Rainbow Bridge in the background. 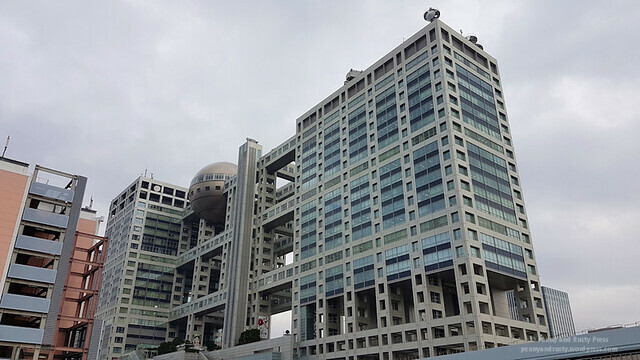 Make sure you check out the Fuji TV Building with the weird looking sphere-shaped observatory. 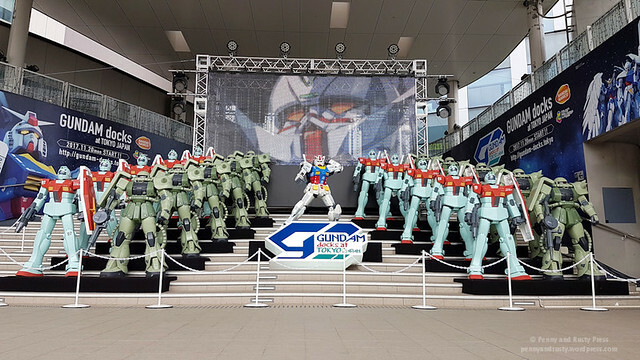 Inside, they have a shop that’s dedicated to various plastic models. 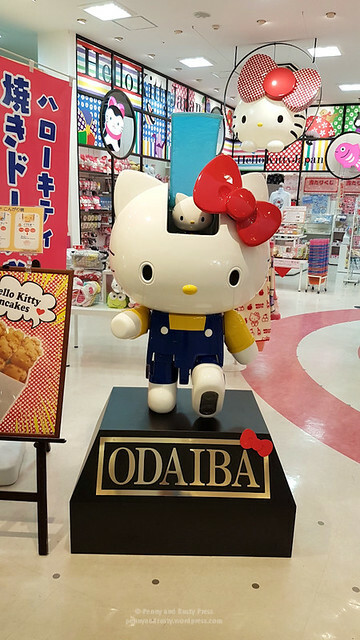 You might even see a small scale Hello Kitty Gundam. Later in the day, we headed out to Takadanobaba, a small area north of Shinjuku that’s also the home of Astro Boy. While we were out shopping, we stopped by the Ippudo Takadanobaba to grab a late lunch. 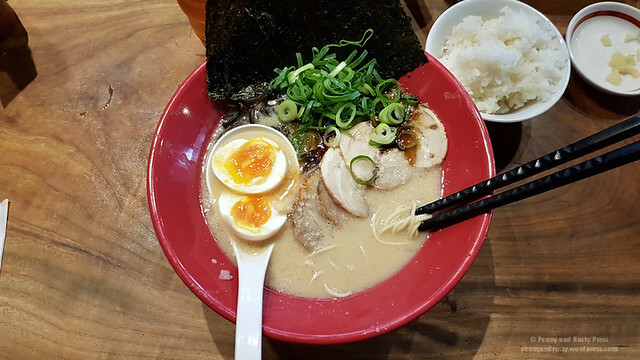 Their menu is pretty basic but a good spot to grab ramen. Plus, you don’t have to be crammed into a little cubbyhole to eat your meal. After all of the food that we had today, we wound up craving some McDonald’s at night. I wish the McDonald’s back home would carry the stuff that they do in Japan. 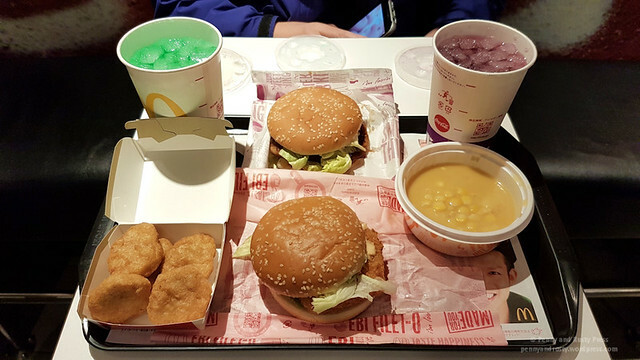 We wound up ordering a Teriyaki Burger with Corn Soup and Melon Fanta as well as an Ebi Burger with a side of Nuggets and Grape Fanta for 1400円. This was so good! There were actual shrimp in the ebi burger and who doesn’t love a side of nuggets? Even the corn soup turned out better than I thought. I really miss the bright green melon Fanta!